"I work as a Clinical Trial Specialist working with global clinical trial drugs before being deployed to the market for use. The drug specializations vary from anything such as oncology to diabetic to pediatrics. I work with starting up a clinical trial, as well as maintaining it throughout its life cycle, to closing out the study for when the drug is approved by the FDA. Making sure subjects and patients who are enrolled within the clinical trial are following the guidelines, regulations per the FDA, as well as the protocol, and so much more!" How did you first learn about or get connected to your current role? "LinkedIn! LinkedIn has been such a beneficial tool for me when it comes to finding employment opportunities which fit to a specific career field and education." "The combination of my major and minor directly impacted my career plans. My interdisciplinary health services major allowed me to understand the lab work that goes on behind the scenes as new drugs are researched and developed and my pharmaceutical and healthcare marketing studies helped me to understand the business end of pharmaceuticals. My pharmaceutical business classes helped me understand how a drug is brought to market, how financial roles play a part, as well as the advertising behind what gets the drug on a TV commercial!" "I was a part of Women's Club Lacrosse, FCA, Club Running, and Hawk's vs. Cancer. 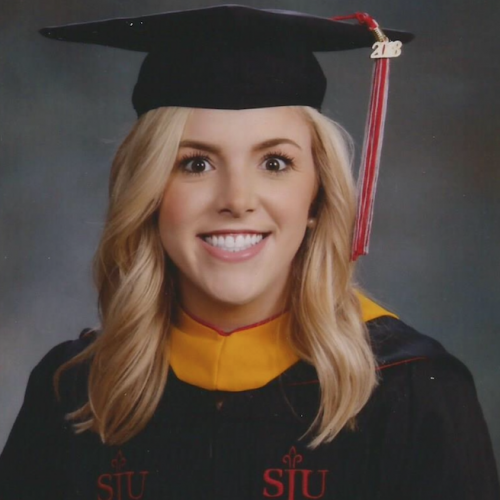 I volunteered at St. Ignatius Nursing & Rehab Center where I worked with electronic medical records, and I also played a strong role in the Transfer Admissions process to SJU, as well as running, and organizing new student orientation, and giving campus tours. I was highly engaged with PILOT which stands for Pharmaceutical Industry Leaders Of Tomorrow and allowed me to interact with top executives within the Pharmaceutical and Medical industry, as well as attend meetings and events which opened up new doors, and expanded horizons for actively pursuing a career in pharmaceuticals."